Enhance Performance. What separates the best from everyone else? Interested in increasing your club head speed or driving distance? Our dance screening program is designed to help give recreational and elite dancers the competitive edge they're looking for. When the body is moving effectively & efficiently, personal bests arise. Prevent Injury. Are you suffering from hip pain, ankle sprain/strains, back pain, etc? Are you constantly using ice, heating pads, foam rollers and other tools to manage pain? Why not find out what the underlying impairments ("weak link") are with our Dance Screening? Use movement analysis technology to identify your unique movement impairments and find out your dance performance score. Revolutionize how you train! Specificity Works! Now that we have identified your specific impairments through our Dance Screening, CORE is able to create a custom exercise program that will only include exercises that you need to prevent pain/injury and help you excel. Take your new assets to the studio to unlock your potential for improved technique. We'll collaborate with your pro to change your performance potential. I'm already working with my dance instructor: Your dance instructor helps you with dance specific technique but, if you have an underlying movement restriction or muscle imbalance you may hit a plateau with technique training. When the body encounters an impairment like a restriction or muscle imbalance it must deviate it's path of movement to compensate. These compensations effect the accurancy and timing of your movements. 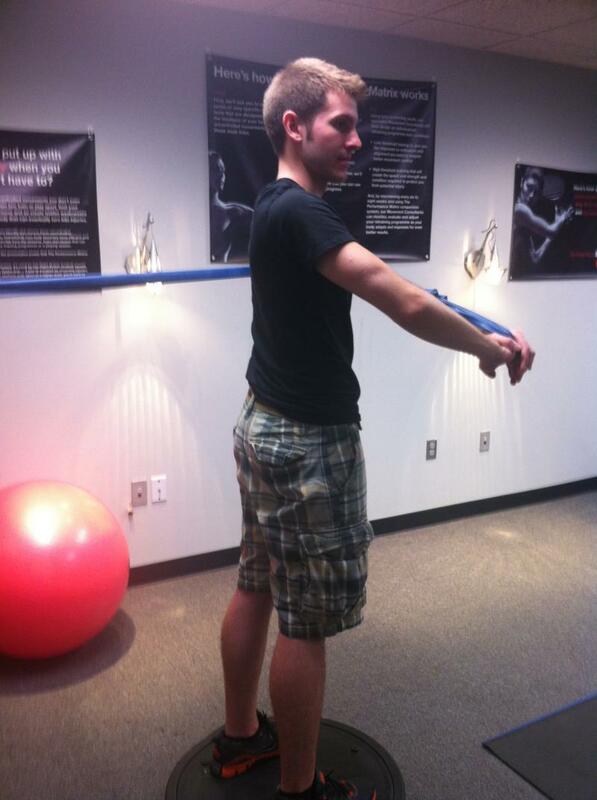 CORE will fix your underlying impairments so you can easily integrate the coaching technique given to you by your dance intructor. I'm already working out at the gym: Length and strength is only one piece of the puzzle. Most golf programs and fitness programs focus on these two elements alone. Finding the right exercises for your impairments encompasses more than just length and strength, we will help you find the missing piece. I already have an exercise program: It's not about how many exercises you do, but making sure the exercises you choose are the right ones for you. Often, our clients find the exercises they chose either didn't address their impairments or in fact reinforced their impairments. In any movement, the brain has many options for muscle recruitment. Not all options coincide with optimal sport technique. We'll help you train the best option for your body.